“A mix of all ages and lots of dogs!”….. about 300 !!! Sarratt’s seriously well behaved canines!!! 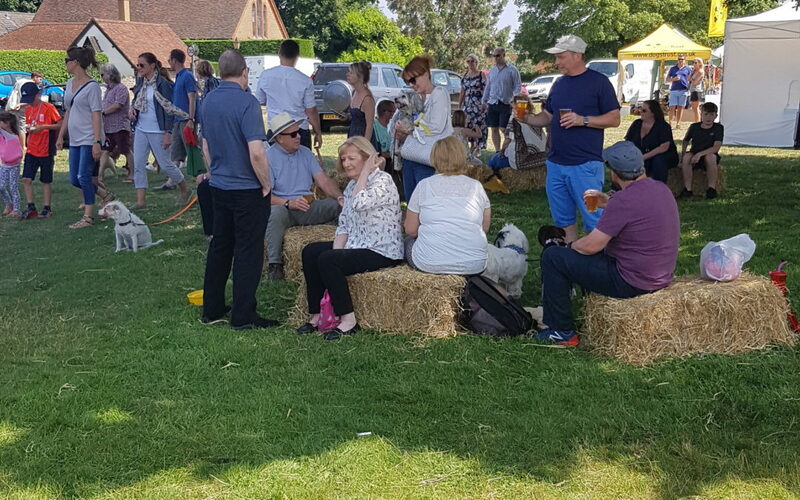 These are just some of the comments from many happy villagers who enjoyed Sarratt Village Day on Sunday 10th June. It was a beautiful summer’s day, not a jumper in sight (apart from one dog that we spotted wearing one)! William admired the classic cars on display, Ella enjoyed watching our fellow junior journalist, Charlotte, compete in the dog show with her dog Rosie. Rosie came second in the cutest pup category! The Green was full of people and their dogs, we have never seen so many dogs in Sarratt before. The winner of the prettiest dog went to our classmate’s dog, Maggie. We all agree that she is a worthy winner! As if the variety of events wasn’t enough, there were some amazing raffle prizes up for grabs! Winners took home champagne, spa days, a hot air balloon ride, photo shoots, and holidays in Norfolk and Devon! The Sarratt bunch were very generous and a lot of money was raised for the NEW Community Foundation SCCF and our School. 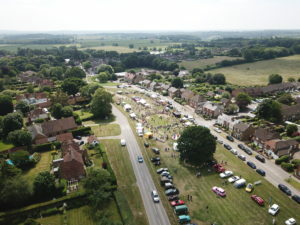 We are very grateful for everyone that came and ensuring that Sarratt Village Day was a huge success. We hope there is another village day next year!